Stampin' Up! has developed a new stamping tool called the Stamparatus. It is different to other stamping devices on the market. I will tell you how it is different further down the page, but let me just say this: if you have been looking for a new way to expand your stamping fun, this tool could be what you need! What Can a Stamparatus Do? Make multiple copies of the same images with ease. Consistently stamp crisp, clean images. Restamp. If you want a darker impression, you can apply more ink and restamp. No need to start over! Make fewer mistakes, saving time and money as you tend not to waste as much cardstock by having to re-stamp imperfect images on new paper. Easily create 2-step, 3-step, and 4-step stamped images using reversible plates. Develop new and specialized stamping techniques with adjustable stamping plates and precision placement. Even better, here is a Stampin' Up! video for you showing the new tool in action! 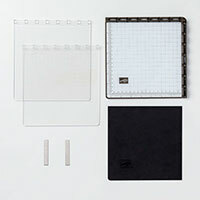 It has a foam mat to use with photopolymer stamps. No need to look for something to cushion stamps that have no foam padding, as the red rubber stamps do. There are rulers and gridlines for quick measuring. No need to hunt up a ruler in the middle of a project and it keeps your desk a little bit tidier, not having a ruler on it! 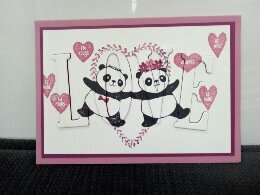 It has 2 open sides so you can stamp on larger paper. You can make those large square images for larger cards much easier and can even fit 6" x 6" (15cm x 15cm) scrapook paper in it. 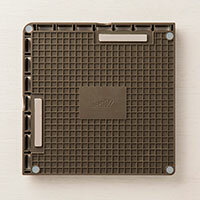 It has 2 reversible plates: a total of 4 surfaces to work with. Just line up your stamps where you want them to be and stamp, flip, stamp, stamp, flip, stamp! There are 2 long magnets to help hold the paper in place and there are places to easily store those magnets on the tool itself. You won't lose them so easily because you can store them on the reverse of your tool (see picture below for the reverse side of the Stamparatus with its magnets handily stored). The magnets have great holding power but they are the consistency of ceramic, like most magnets are. DO BE CAREFUL not to let the magnets get close to each other. Being strong magnets, they will snap if allowed to slam together, or if they are dropped. Treat them like china! You may also find it very hard to separate them once the magnets are together. Try sliding them apart if that happens. Do not use these magnets if you have a pacemaker. All magnets can interfere with pacemakers. TIP: Try wrapping Washi Tape around each magnet, leaving little tabs on top so they are easier for you to pick up and move them from the magnetic base of the tool. "Neodymium magnets (also known as rare earth magnets) are very brittle; they are also the strongest magnets available for papercrafting and are therefore standard stamp placement tool accessories in the papercrafting industry. When placed on your paper, they attract the thin, magnetic plate inside the stamping tool and prevent your paper from slipping. Rare earth magnets must be handled with care. Lower quality magnets can snap together without effect, but all rare earth magnets (though strong) can shatter, crack or chip regardless of shape or size. This does not indicate a manufacturing defect. Stamparatus magnets are safe when they are used as intended. Here are some tips to follow when using Stamparatus magnets. Individual magnets are extremely strong; most projects should only require one magnet. Store the magnets under the base when they are not in use so they are always separated. When using both magnets on a project, be mindful of their placement on the base; the further apart they are, the better. If your magnets do snap together, twisting them apart is the easiest way to separate them. Handle the magnets with care to avoid injury. If they snap together, Stamparatus magnets can pinch fingers or shatter. Children should not play with, touch, or use Stamparatus magnets. Please store the magnets in their storage compartment when they are not in use. Magnets can interfere with pacemakers; if this is a concern, please consult your physician for more information. Magnets can damage electronic devices, e.g. computer hard drives, magnetised credit and debit cards, etc. Magnets are a choking hazard; they should not be placed inside the mouth. If the magnets do crack, chip, or shatter, we will be unable to replace them; they are not under warranty and cannot be returned or exchanged. If the magnets do crack, chip, or shatter, we do not recommend using them as they may have sharp edges. These magnets are great tools when used in conjunction with the Stamparatus. Simply use them with care and follow the tips outlined above, and you will ensure a great stamping experience." So there you go. I hope you have as much information about the magnets now to go ahead and enjoy crafting with the Stamparatus. It sure does have high quality magnets included! Do you often create multiple projects? This tool can cut down the time and effort it takes to make invitations, notices, wedding thank you cards, and any other projects that you want multiple copies, each the same as the last. Do you love trying new techniques? This tool opens the door for new ways to use your stamps, die cuts and more. Do you prefer having things perfectly lined up and precisely placed? This tool is capable of stamping exactly on top of the same image as many times as you wish. Ever stamped an image that was not quite filled in, that stamped a bit unevenly or a bit patchy? You can fix that by using the Stamparatus. Is it difficult for you to hold on to a stamp block? This tool will pick up the stamps with ease, and you can't drop them so easily. 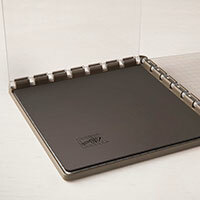 You can stamp by using an easy-moving, light-weight hinged door instead of an acrylic stamping block or a wood block. Have you ever struggled to apply just the right amount of pressure when you stamp? The magnets help you avoid smooshing your stamp too far into the card stock by providing a physical barrier for your stamps. They can go as deeply onto the paper as the width of the magnet, and not much further. You can also confidently apply some pressure to your stamping if you want to do that. Do you like adding new and exciting tools to your craft collection? Be among the first to own this new tool! It is something I believe has the potential to become a favourite tool for you to reach for. I am part of a large, global team that developed the Stamparatus. It is called the Leader to Leader (L2L) team. Stampin' Up! took several years to develop their new tool and during that time, our L2L team helped with brainstorming, prototyping, and testing. 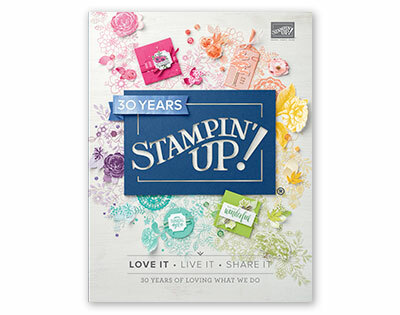 Some of us helped with the marketing and training materials now available on the Stampin' Up! website. As a member of L2L, I was among the first to receive my Stamparatus and get to start playing with it. It was a reward for keeping its development secret all that time! So I have been using it a little longer and I may therefore be able to help you with answering questions about your new tool. I'm learning new uses for it all the time! I'd love to share that knowledge with you. (By the way, it is an honour and exciting to be part of the L2L team. Demonstrators all over the world get chances to be consulted like this. That's a good reason to become a Demonstrator yourself and join my team). Where Can I Get a Stamparatus?? If you were part of the group that cleverly reserved your tool, it will be coming your way in the next month or so! Well done, you! If you missed out on reserving a tool, and you live in or are visiting Australia in June 2018, you can purchase one through my Stampin' Up! online shop, SusanSalutations, when the new annual catalogue comes out in June 2018. Just click on the catalogue link in the right hand column. BONUS: My contact details are at my shop. If you purchase from me, feel free to email me with any questions or ideas for using the Stamparatus or other papercraft supplies purchased through me. If you do not live in Australia and are not visiting it, don't despair. 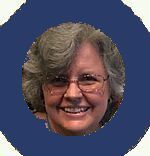 Your country may have Stampin' Up! demonstrators in it! You can check by going to the Stampin' Up! web page and see if the little drop-down window at the top has your country listed. Click on that and go find a Demonstrator near you, using the Demonstrator Locator. You can order one of these new tools from June 2018 in other countries. I hope you find your very own Stamparatus and join me in expanding your stamping techniques, enjoying your stamp craft even more than before!